Coming off their bye week rested and hungry, Alabama punished 4-6 Mississippi State 51-3. 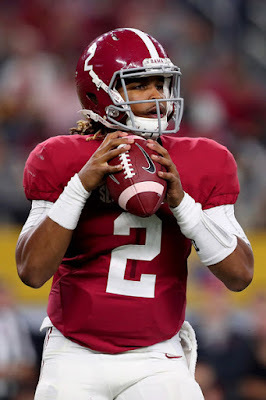 Youthful quarterback Jalen Hurts continues to play well behind his years, with five total touchdowns and nearly 450 total yards against the Bulldogs. The defense also continues to be absolutely dominant, headed by defensive end Jonathan Allen and linebackers Rueben Foster and Tim Williams. Next up, Alabama shouldn't have much trouble with FCS opponent Chattanooga, before their huge Iron Bowl battle that doesn't quite look as daunting after Auburn lost to Georgia this past weekend. While the Tigers pose an interesting challenge, the Tide should roll to a flawless regular season. A few weeks ago following a loss to Penn State, Ohio State's Playoff chances appeared to be hurting. After a chaotic Week Eleven, the Buckeyes are right back in a strong position. The passing game has found its stride after a poor couple weeks, and the O-Line play has developed more consistency. That has helped OSU win their last two 62-3 (against Rutgers and Maryland) and should continue to help build momentum as the Buckeyes prepare for a crucial stage against both Michigan schools. Helping out the Buckeyes is the fact Penn State is playing terrific, making their lone loss look quite as bad as it once did. After a string of close ones throughout the year, Clemson's luck finally caught up with them. They were unable to finish off a scrappy Pittsburgh team, as a last-second field goal gave the Tigers their first loss of the year. Well that loss obviously hurts, Clemson still owns a very good resume and still has the lead over Louisville in the ACC Atlantic. 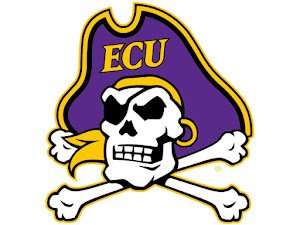 The Tigers currently own four Top 25 victories (Auburn, Florida State, Louisville, Troy) and blew out two solid ACC squads in Syracuse and Georgia Tech. Still owning the division is huge for Clemson, as it could help them earn a spot over Louisville, as the Selection Committee would definitely take a 12-1 conference winner over say, an 11-1 Louisville. With plenty losing in front of them, it was a great opportunity to show the Committee what they could do. 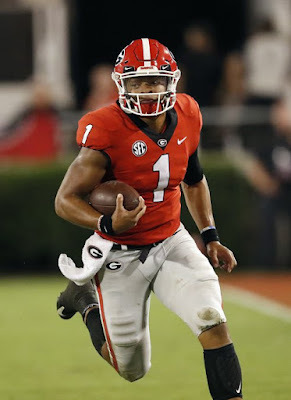 They did end up winning, but were down entering the fourth quarter against a mediocre Wake Forest squad before a huge ending that helped them win 44-12. The performance did not help the Cardinals, who looked average just a few weeks earlier against 2-8 Virginia. Also hurting the Cards is the lack of a real, huge signature win. Their most impressive win to this point is a beatdown of Florida State, but the Seminoles aren't a great team. Big performances against Houston and Kentucky to end the campaign would help add some bulk to their thin resume. It was not a fun weekend for Michigan, who watched their offense struggle before losing a thriller on the road to Iowa. Next, rumors swirled that starting quarterback Wilton Speight broke his collarbone and is out for the year. It hasn't been officially confirmed whether this is true, but it still appears Speight will be out for a significant period of time. That will leave Houston transfer John O'Korn as the likely starter as the team faces sneaky Indiana before their huge Ohio State battle. Iowa was a bad loss, but the Committee may be able to give it some leeway considering it was on the road. Much like Michigan and Clemson, Washington was struck by the upset bug this weekend, losing to a flaming hot USC team at home. The loss stings, as the Huskies most likely needed to win out to secure a Playoff berth, due to their relatively weak schedule. Also problematic is the fact the loss drops UW out of a spot at the Pac-12 Championship Game right now because archrival Washington State is undefeated in conference play. The Huskies should get back on track this week against struggling Arizona State, and the Wazzu game gives them an opportunity to beat a very strong opponent. But, with how disappointing the Pac-12 has been, Washington's chances for a Playoff berth just became very dim. While all eyes in the Big Ten have been focused on Ohio State, Michigan and even Penn State, Wisconsin just keeps on winning. The Badgers thumped Illinois this weekend to likely lock down a spot in the Big Ten Championship Game. While Wisconsin may have two losses, neither were bad, as they gave Michigan and Ohio State battles. A victory in the Big Ten Championship Game would add to a resume that includes a great victory in LSU, which would be enough for Wisconsin to sneak into the field. While the Pac-12's Playoff hopes look thin, the Big 12 may be an even worse spot. Their Playoff chances rest in the hands of West Virginia and Oklahoma, who play this weekend. The Mountaineers likely hold the better chances because they have just one loss, to a strong Oklahoma State squad, while the Sooners lost to Houston non-conference and were dominated by Ohio State. The Mountaineers won a tough road game over Texas this past Saturday, and a win over OU could possibly help sneak them into the field if some chaos occurs in front of them.